UPDATE: The winner of this giveaway would be out tomorrow, stay tuned okay? Hey guys! This is my first giveaway though. Hmmm, you must be thinking what is it right?? I know that it is really RARE to find ELF in Singapore though, except that SASA store situated in Bugis Junction and the distributor of ELF in Singapore. Basically, ELF stands for Eyes Lips Face, it is a US brand. I must admit that ELF has the best bronzer and blusher I've ever came across, it is better than some drugstore brands you would find in Watsons or Guardian. 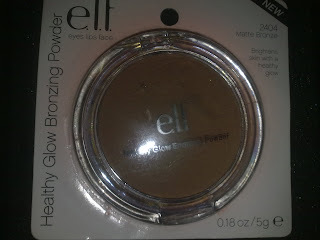 This is the ELF essentials Bronzer in Matte Bronze, I have one myself too. (Unfortunately, I've no idea how to use it. Anyone please help?) The other colour was like typical pressed powder from Maybelline, that's why I chose this colour. In order to enter this giveaway, do share with me the make up and beauty tips you have and stand a chance to win this exclusive and RARE(in singapore)ELF Bronzer in Matte Bronze! 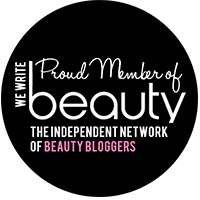 *You must be a follower of http://cheryl-beauty.blogspot.com. 4. "I WANT ELF and PLEASE." This giveaway is only applicable to those with a vaild Singapore or Australia Address. The giveaway will end on the 25 May 2011, Wednesday, 11.00pm. 5. Makeup and beauty tips : i like to layer non-waterproof mascara under waterproof mascara. i find it is easier to remove at the end of the day. 5. Makeup and beauty tips: always draw your brows.. makes a huge difference! Tip: I always use a primer before putting on my fave eyeshadow to make it last longer, i am currently using Benefit's Stay don't stray eye primer and Urban decay's potion primer. They're both amazing but pricey, you may use sephora's primer as alternative for a cheaper price. The eyeshadow appears brighter and lasts the whole day and so is convenient and cost-efficient to use for the working gurlz out there who doesn't have the time to retouch every now and then. I also love bronzers, it is mainly use to give shape to your face and make it look smaller (designed esp for gurlz with a round face like me!). I use it just below the jawline after putting on a light blush on the apples of my cheek. I am using Nyx and would like to try out the Elf bronzer, emily eddington,my fave make up reviewer swears by Elf's bronzer but i can't seem to find it anywhere!